Unleash the little monster in you with the 2018 limited edition Les Monstres de Luna! 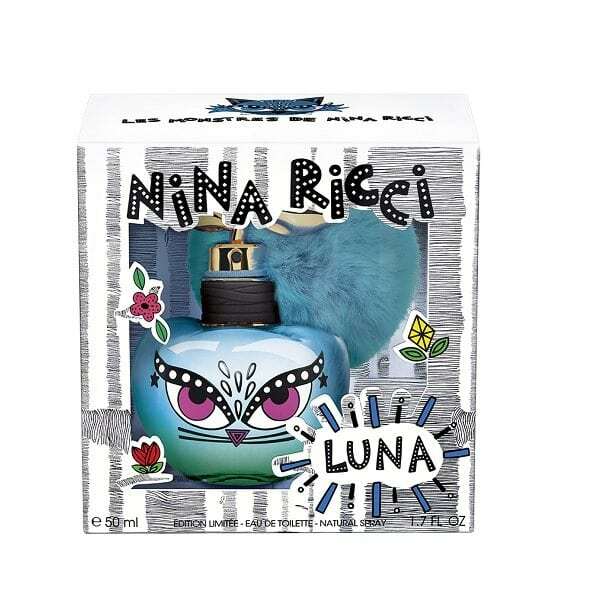 Nina Ricci has been working with the Brazilian artist duo Ana Strumpf and Guto Requena to transform the iconic apple bottles into irresistible little monsters. Sporting an adorable detachable Blue pompom that you can keep forever. Luna: a fresh fruity composition with juicy pineapple infused with lime on a bed of Caramel. Available to buy as a 50ml Eau de Toilette Spray for women.